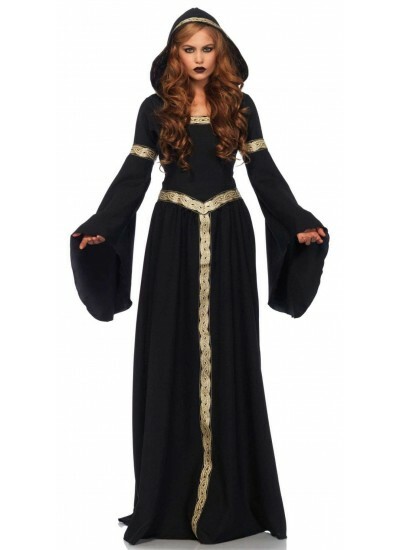 Richly embroidered, this elegant Celtic Lady gown is perfect for a Renne Faire as well as a Halloween costume. 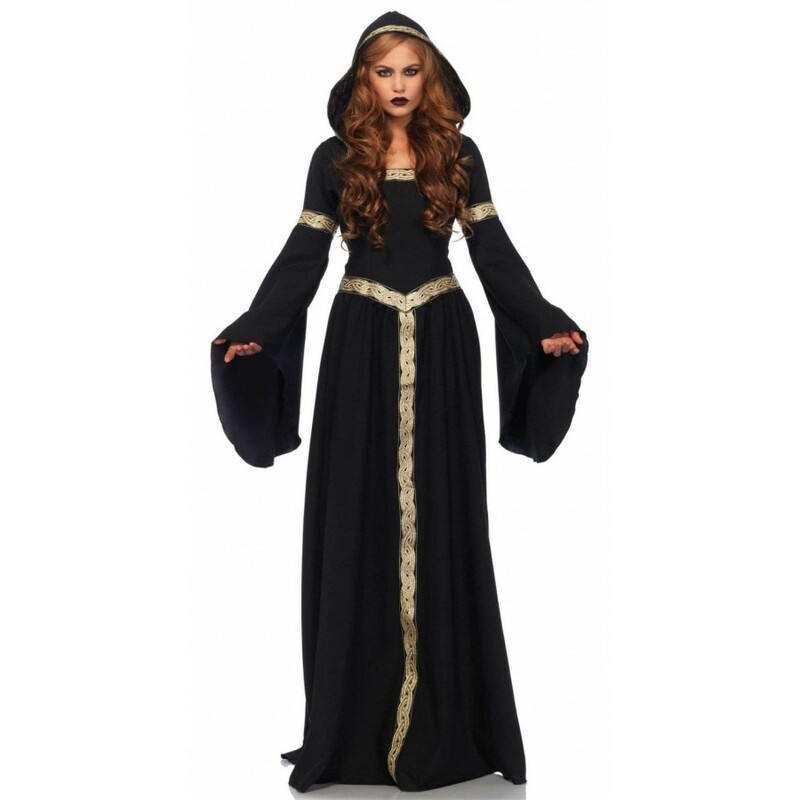 Gorgeous black Medieval style gown has bell sleeves and lots of gorgeous gold braid. The attached hood is also trimmed in gold braid. The back features a corseted, lace up detail for a custom fit. 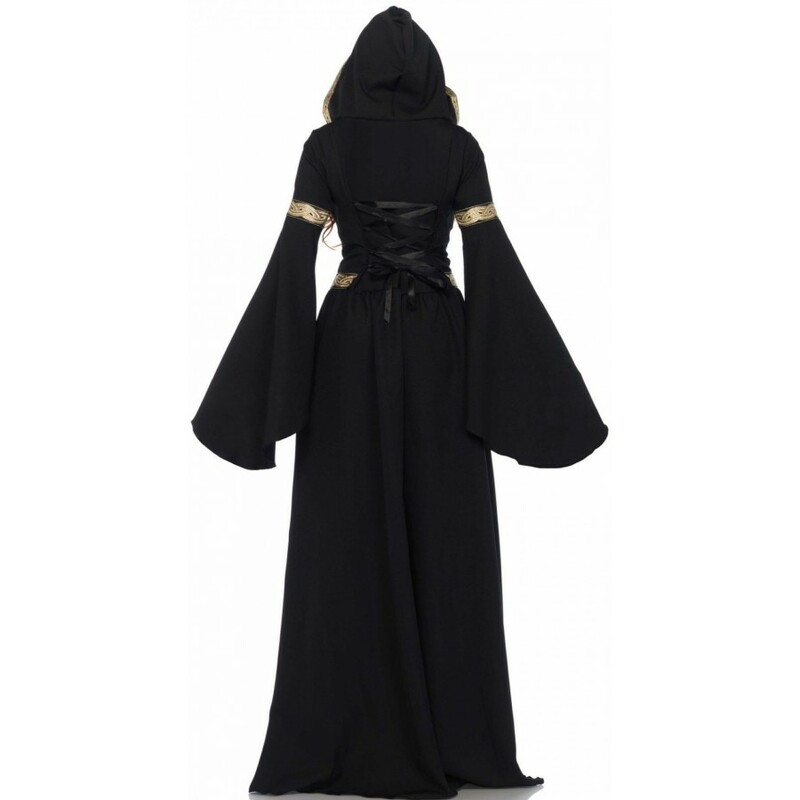 Great for Halloween or your favorite Renne Faire. Item Number: LA-c85531 | Approximate Size (Inches): 10.00 wide x 2.00 deep x 14.00 high | Approximate Shipping Weight: 2.50 lbs.